This video shows an example of syncing MailChimp with Nimble. We simply ask your login details and permission for access. For MailChimp, we need authorization per AUDIENCE. This means you need to set up a new connection for each AUDIENCE you want to keep in sync. You can choose from all your existing AUDIENCES in the authorization step after entering your login details. 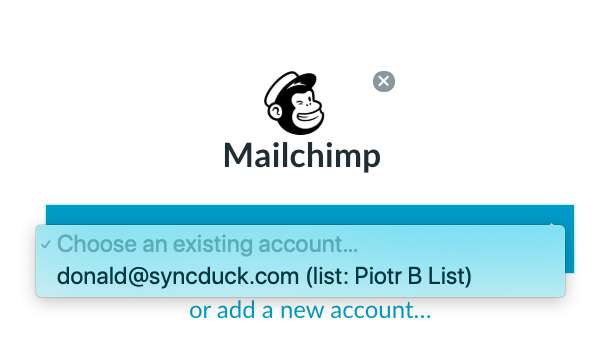 If you already authorized MailChimp Audience(s) in the past or in any other PieSync integration, you'll be able to skip this step and choose from your CONNECTED ACCOUNTS. Below an example of two different rules providing the same result. The underlying message is to fine-tune your rules and not sync all of your contacts blindly to MailChimp. This video provides a more in depth explanation. Please note that the default fields will no longer sync/update after altering the correlating tags in MailChimp. - Delete your sync and create it again. Your custom made field will only appear in the customizable field mapping list after ticking the "required" box visible above. This also implies that it's required to custom map that particular field in order to sync the contact data. You can custom map your MailChimp custom fields and any additional standard fields that aren't included in the default mapping yet.Bear in mind, a mapping between two fields can only exist if the types of fields are compatible.More information on Customizable Field Mapping here. 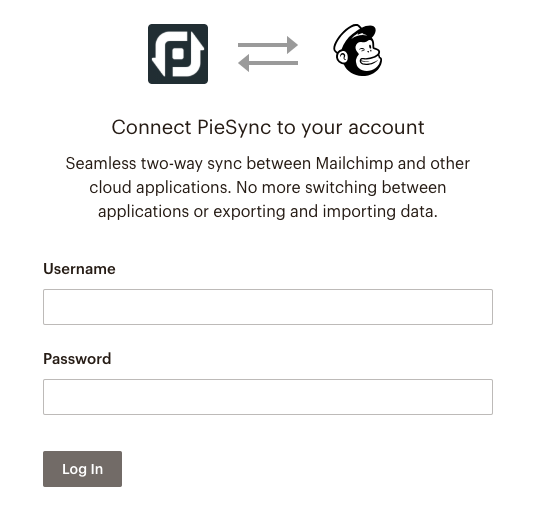 Currently, there are no MailChimp integrations on the PieSync platform that support our deletions sync. In connections with MailChimp, where adding a tag in app B is a supported trigger (THEN), you are able to sync unsubscribes one-way. When a contact unsubscribes in MailChimp, we add the tag 'PieSync Unsubscribes' to that same contact in app B. This way, you are able to review this segment first before taking any action in app B. The availability to sync unsubscribes is app and connection dependent. If the box (screenshots above) is not there to tick, it's simply not possible. We need to be able to detect deletions on one side and at the same time be able to create add the tag 'PieSync Unsubscribes' on the other side. More Information on Syncing Unsubscribes here.